The hazard of being interested in microscopy is that it inevitably lures you into unexpected journeys. Mine began with a visit to the Norris Museum in St Ives, Cambridgeshire. A small, insignificant, ginger tangle of fur next to a giant tooth and tusk. “Mammoth Hair” and “…40,000 years ago” leapt out from the label. Now, I had looked at hair from dogs, cats, mice, rabbit, wolf, lion, cheetah, giant anteater, brown bear and polar bear and even a walrus whisker, amongst others, but not hair from a 40,000 year old mammoth! And so, I was drawn into the friendly family of the Norris Museum and its volunteers. I wanted to establish the provenance of the mammoth hair, and to confirm that it really had come from a mammoth. 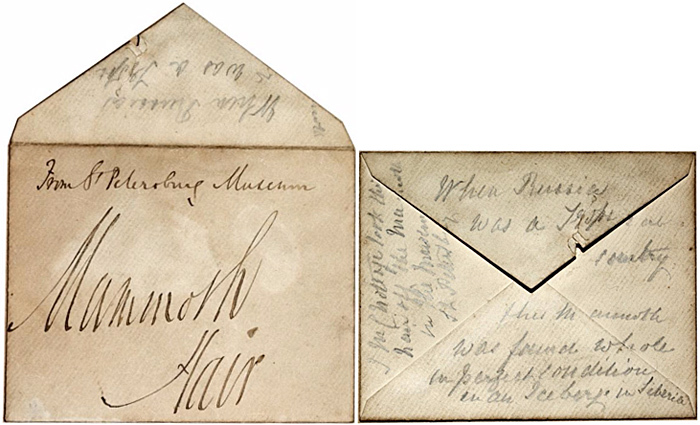 I was able to track down the envelope in which the hair was donated to the museum, at some time between 1902 and 1914. Notes on the envelope indicate that it was taken from the mammoth discovered on the banks of the Berezovka River in Siberia and displayed in the Russian Academy of Science in St Petersburg in 1902. To identify hair, you need to check the width, cross-section, surface scales, colour and internal structure. Most mammoth hairs lack a medulla, but a few have an air-filled medulla that shows up as black. 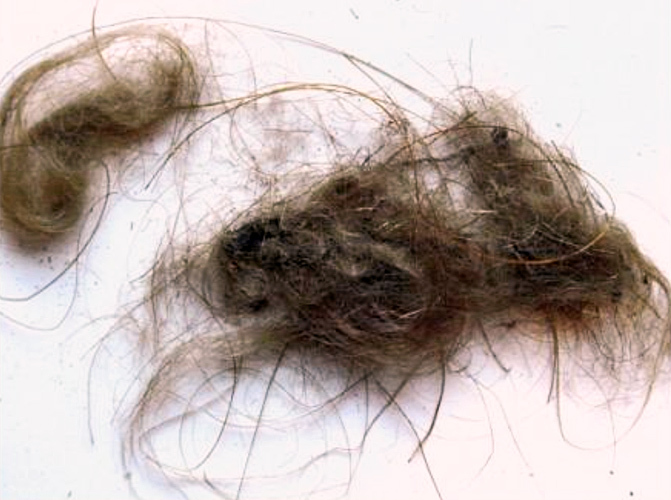 Mammoth hair lacks the pigment spots that are found in other hairs such as human and dog. The brown colour of mammoth hair is thought to be caused by environmental staining. 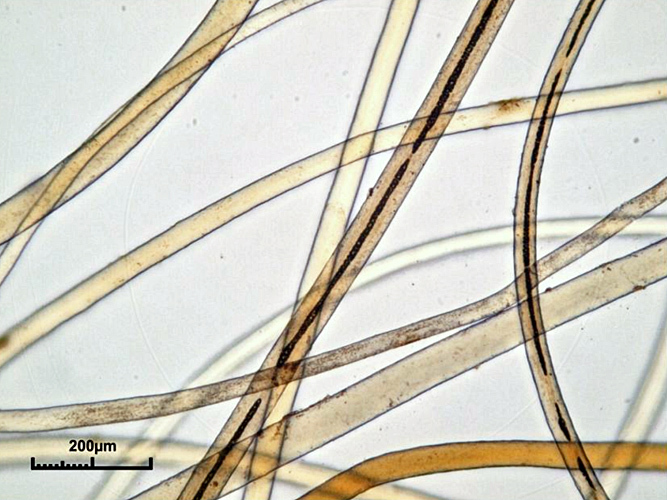 Fine mammoth hairs do not have scales, unlike human hairs. The museum’s hair sample is in very good condition compared to other samples, presumably because it was frozen for so long. Comparison of the museum’s hair sample with other examples of mammoth hair, and examination of its properties, confirmed that it really did come from a mammoth.